"Should you go all hand tools?" "All power tools?" "A mixture of both?" 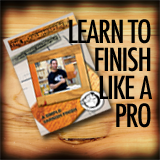 Without a doubt, the most important part of woodworking is the medium itself: wood. Everything you need to know to design your very own projects. To mill, or not to mill? That is a fundamental question! Some of the finest woodworking is done without a power cord!